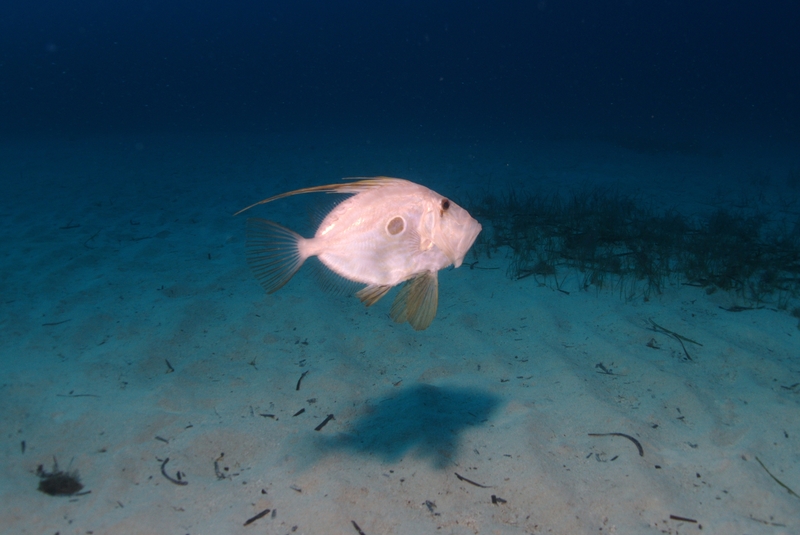 This John Dory (Zeus faber) allowed me to get real up-close and personal with a somewhat zoomed shot with a fast shutter speed, effecting a nice dark background. Near the P29 and Rozi mid-way anchor. This work is licensed under a Creative Commons Attribution-ShareAlike 4.0 International License. Please attribute Kristaps, the photographer, with a link to kristaps.bsd.lv/photo0046.html.